Our little boy is sixth months old. He has been in our lives for half of a year, which feels simultaneously like a lifetime and like the blink of an eye. Our life is vastly different than it was a mere six months ago, but I can no longer imagine my world without these bright blue eyes and big gummy smile. Aaron is a sturdy kid, clocking in at 20 pounds now. He's between 12 month and 18 month clothes -- ridiculous, right? He sleeps through the night (I'm one grateful mama), though he struggles a bit with naps. He is such a happy baby, and he's so curious about the world around him. He is generous with his smiles, he has a great belly laugh. He grabs everything within arms reach and chews on everything he can get his hands on. He's sitting now, which blows my mind. He loves to stand and gets frustrated that he can't crawl. I swear he has said "Mom" a couple of times, but, of course, no one believes me. He gives a good high five, and babbles and squeals and screeches away. He is particularly fond of riding around on his dad's shoulders and is a sucker for a good game of Peek-a-Boo. He's beginning to pet the dog and grab fist-fulls of fur -- poor Charlie. He loves to bang on the pages of his books and will help me turn the page. He has a tendency to chew on his books as well, but his book-loving mother tries her best to discourage such disrespectful behavior toward the written word. Bath time is another favorite. He chews on a rubber ducky while kicking with those chubby legs as hard as he can, splashing water all over the bathroom. It's such a joy to watch this baby learn and grow and change. My brain cannot fathom how these months will someday turn into years, when my little boy will no longer be so little. But what a fun adventure it's going to be! At long last, let me introduce the newest member of our family. We now have a sweet little boy named Aaron Louis, born December 14th clocking in at 8 lb 10 oz and 21.5 inches long. Now he's almost 12 weeks old! He's gigantic, now weighing about 15 lb 7 oz and filling up every inch of his 6 month-sized outfits. He's a happy, active little boy who charms everyone he meets with his big smiles and laughs. He "talks" up a storm, he loves rolling over from his tummy to his back, and he tries so hard to sit up, though he can't quite do it yet. He's got chubby little arms and legs, and he grabs onto toys, especially a favorite stuffed rabbit. He is enthralled by watching the airplanes dangling from the ceiling of his nursery "fly" around. Each day brings a new discovery and a new challenge, and I love watching him learn to be a part of the big world surrounding him. We've decided to keep him! 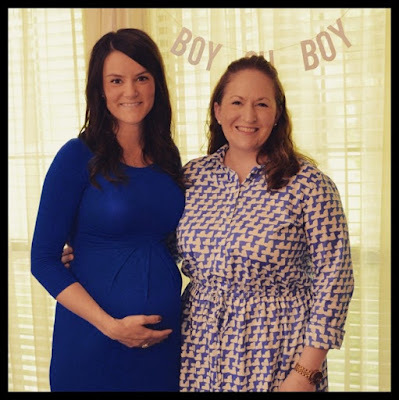 Before I get to the fun of introducing our new little bundle, I want to take a moment to reminisce on the nine months preceding his birth. 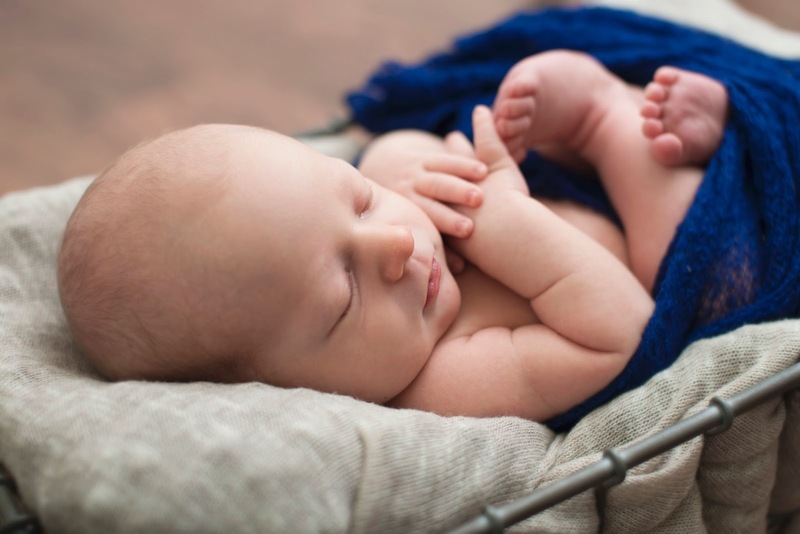 When we learned that I was pregnant, I thought it would be an eternity until he was born. Nine months sounds like forever, doesn't it? But as cliche as it sounds, it's nonetheless true that the time absolutely flew by. I was blessed to have a fairly easy pregnancy compared to many, so the months were full of moments that are now happy memories. Sure, sleeping became pretty difficult for the last few months, my bladder became a bit cramped, and some doorways became difficult to navigate, but we still managed to have plenty of fun before welcoming our little guy into the world. So here goes! 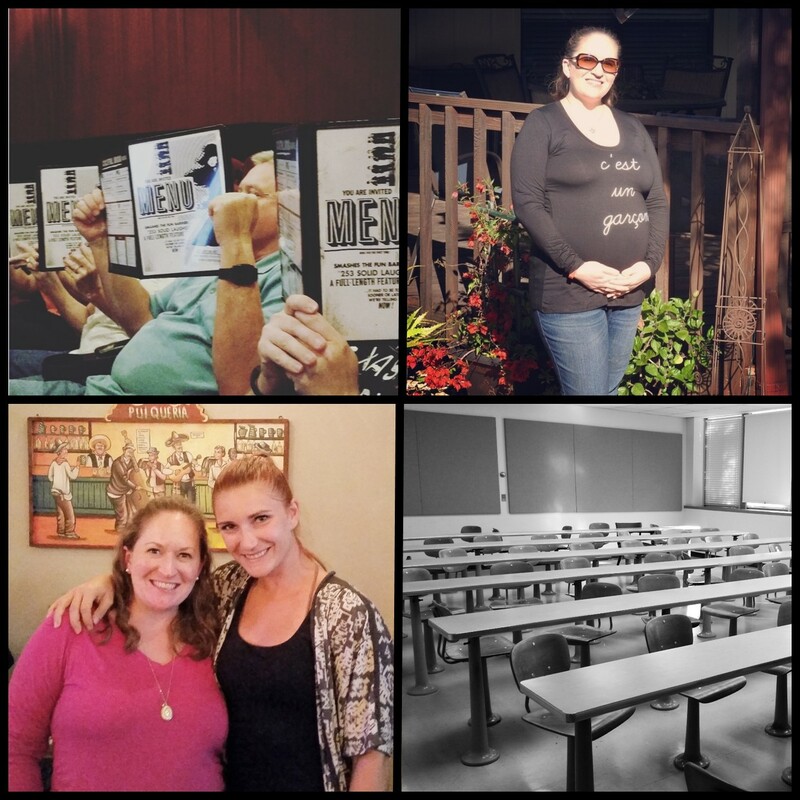 First, no pregnancy post would be complete without a few sonograms! On the left is my very first sonogram, when our baby was just a little blob. And next to it we see what a difference a few months can make at our 20 Week appointment when we find out we're having a little boy! We celebrated the 4th of July! In Paris we watched the Paris Municipal Band and the city fireworks at Noyes Stadium after spending the day with my family. 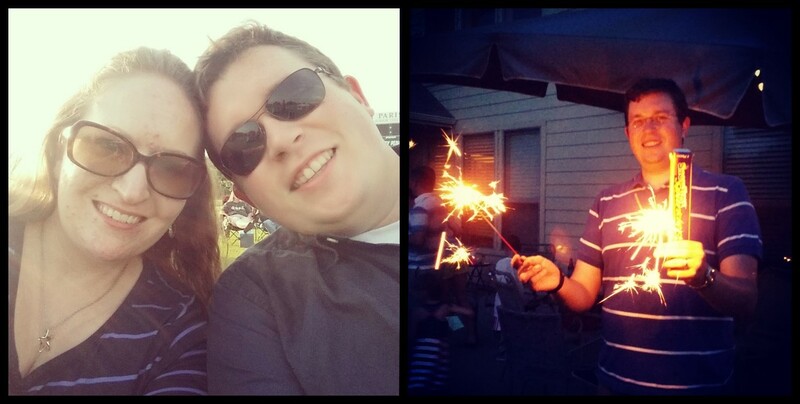 In McKinney, we lit sparklers and watched the McKinney fireworks with our neighbors! We had visitors! 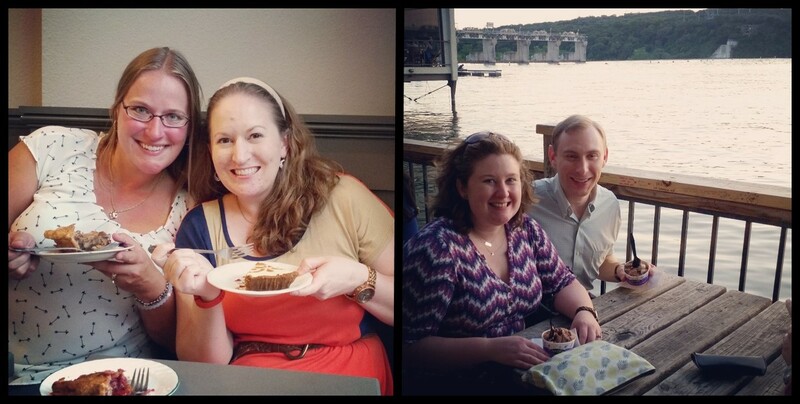 Our sweet friends Kurt and Nina visited from Arizona while Jeff and Jessica came in for a few days from South Carolina! 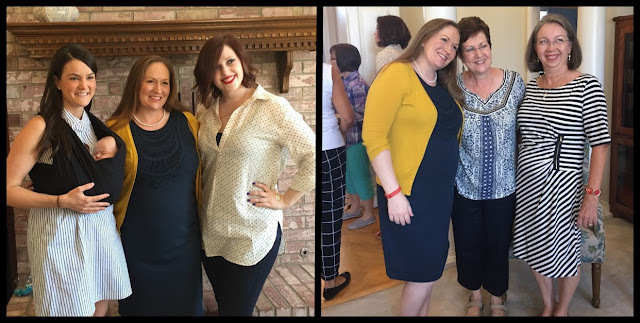 I threw a baby shower, along with my mom and grandmother, for my friend Alison. She's now a momma to adorable little Mason! We traveled! 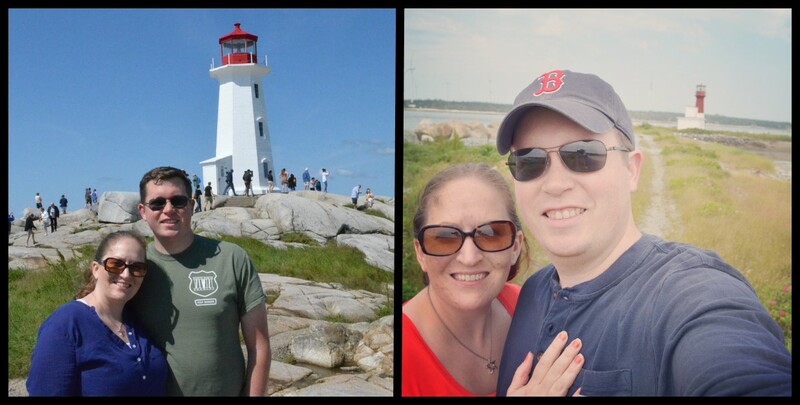 We spent a lovely week meandering around Nova Scotia. We got a porch swing (that still needs to be stained). Does it get any more southern than this? Thank goodness for a husband and father-in-law who know how to hang things. 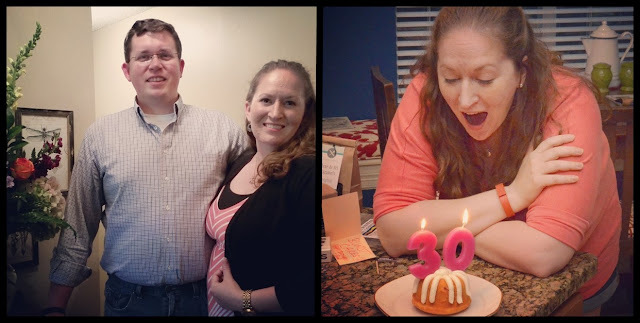 I turned the big 3-0 and had a lovely time celebrating with family and friends! 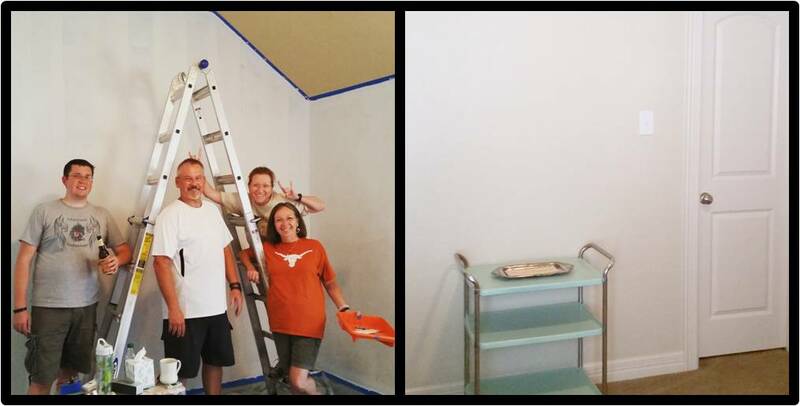 My husband and amazing in-laws painted the nursery! Goodbye horrid blue and tan stripes! 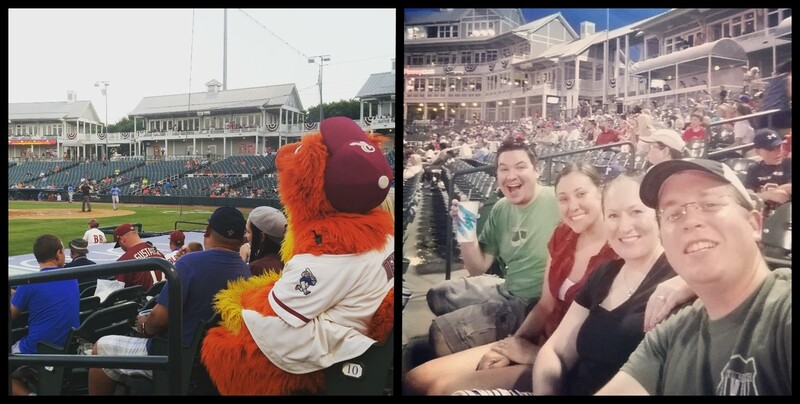 We went to Frisco Rough Riders games, ate cheesy nachos, and root-root-rooted for the home team! 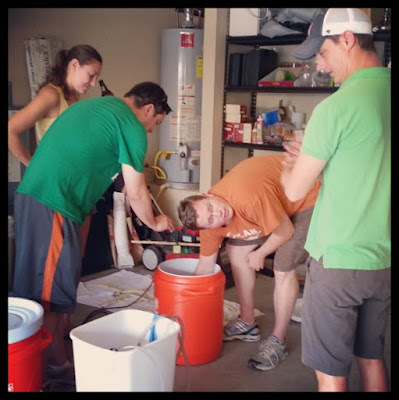 We brewed lots of beer, and my husband built a kegerator that lives in our garage. 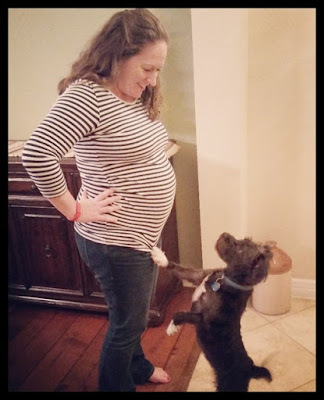 My bump got a bit bigger, and Charlie impatiently waited to meet his little brother. 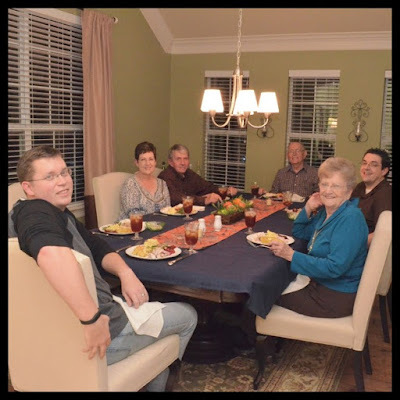 My family came to town to celebrate Mom's birthday! 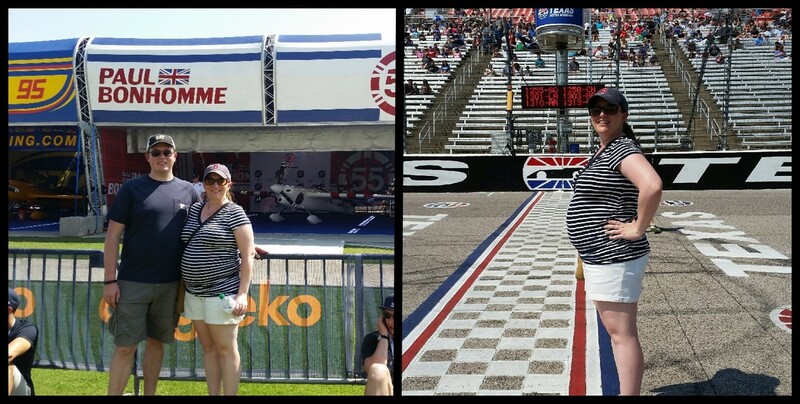 We had a blast at the Red Bull Air Races at Texas Motor Speedway. The bump continues to grow. We drove down to Wimberley to spend a relaxing Labor Day weekend with our friends Jimmy and Laura and their family. 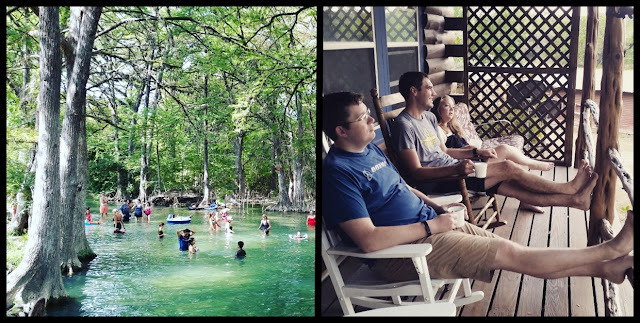 The weekend included grilling, time in the hot tub, lazy mornings on the porch, refreshing cool-watered swimming holes like the Blue Hole, generous slices of pie from the Wimberley Pie Co, and a little beer sampling (for everyone else) at Real Ale. Ali and her mom and grandmother threw me a wonderful baby shower! We spent a day in Dallas visiting the 6th Floor Museum and Lakewood Brewing (again, I got to watch other people sample great beer). 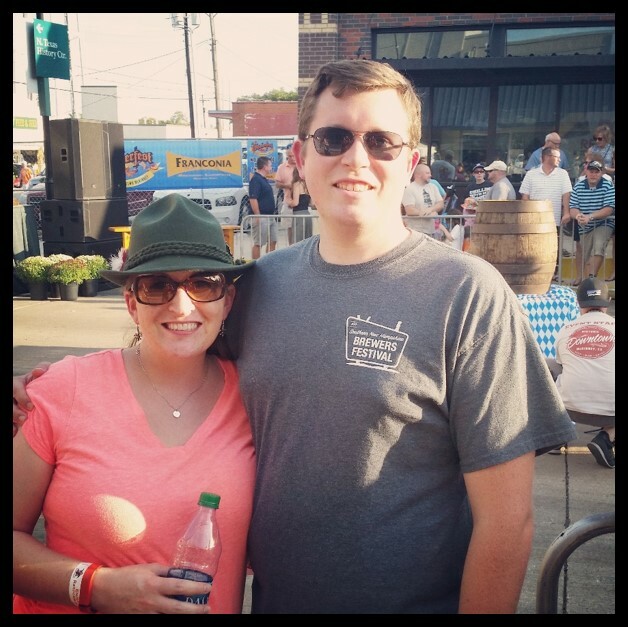 We celebrated Oktoberfest in Downtown McKinney! I indulged in heavenly apricot strudel, bratwurst, and sauerkraut in place of beer. 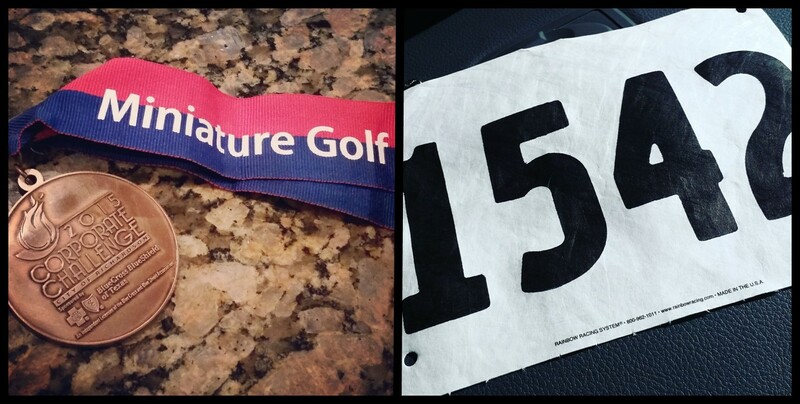 My company participated in the 2015 Corporate Challenge (in support of the Special Olympics) where yours truly became a Miniature Golf champ (ok, 3rd place, but we still got a medal) and completed her very first 5K! 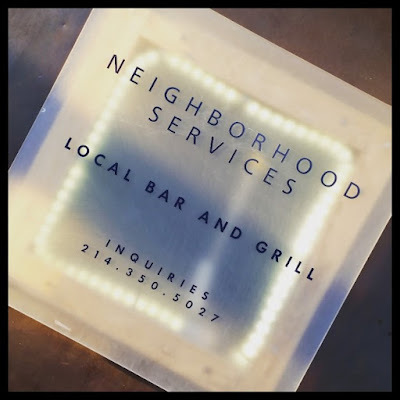 We celebrated our 5th Anniversary at Neighborhood Services. The bartender made me a fabulous mocktail, my husband enjoyed well-made fully leaded cocktails, and the food was some of the best we've had in Dallas. It was a lovely evening. I'm so thankful for 5 years married to this man, and I look forward to many, many more together. 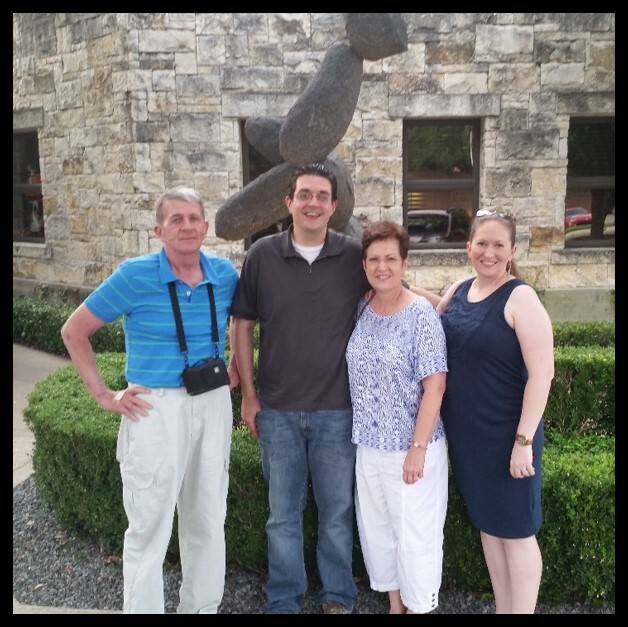 My last trip out of town (before the doctor recommended we stay put "just in case") was to visit family in Austin. We saw The Martian at Alamo Drafthouse, we had dinner with friends at La Mancha Tex-Mex Tavern, and I spent some time showing the baby around some of Mom and Dad's old haunts at UT. We hosted our first family Thanksgiving! It was a hit, in large part thanks to my husband's smoked turkey. Sadly, we sold Clementine, my wonderfully zippy and impractical orange Mini Cooper. We replaced her with a much roomier (though decidedly less zippy) Honda CR-V.
And last but not least, there was plenty of nesting. 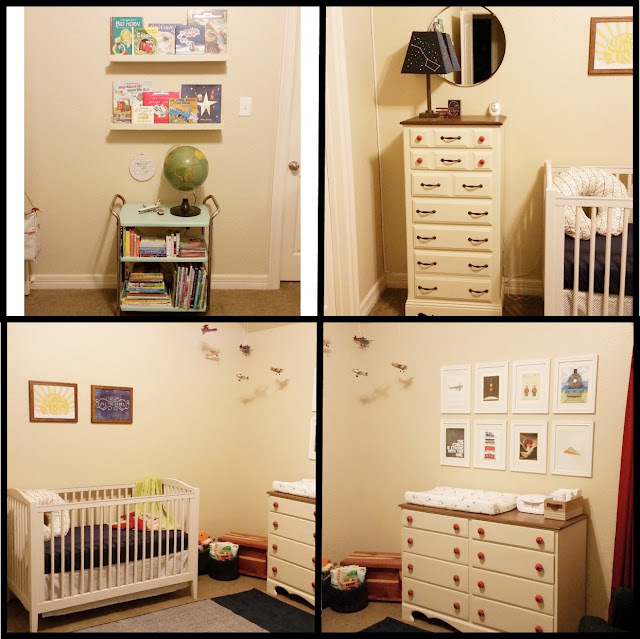 Most notably, we put together this little air and space themed nursery, complete with rocket ships, stars, and airplanes hanging from the ceiling! We put in the finishing touches about a week before our little guy's arrival! Back in July, my husband and I took a trip to Nova Scotia. When we found out I was expecting, we began brainstorming vacation ideas. 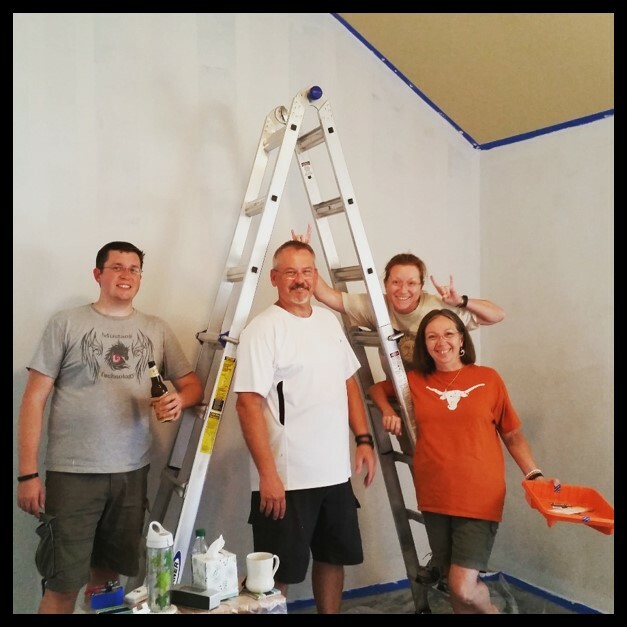 We wanted to go somewhere new and fun, but we also wanted it to be a trip truly centered around rest and relaxation. The more we researched, a trip to Nova Scotia to visit the quiet seaside sounded like just the right thing for us. We also loved the idea of going somewhere a little milder during the sweltering Texas summer. When we told people our travel plans, we received quite a few puzzled looks, as I don't think Nova Scotia is a particularly popular destination for Texas folks, but it should be! During our years in Boston it was always a trip I longed to take (especially since one of my favorite literary heroines, Anne of Green Gables herself, grew up in Nova Scotia before moving to Green Gables on Prince Edward Island), and we had the most wonderful time during our week there! We spent our first three days on the far western shore of the peninsula in the tiny fishing village of Middle West Pubnico where we rented the most amazing waterfront guest house on airbnb. The owners lived in the main house next door and were so welcoming and friendly. We woke up to the sun rising over the water, seen through a wall of windows along the back of the house. We spent quiet mornings on our patio eating breakfast and enjoying the view. 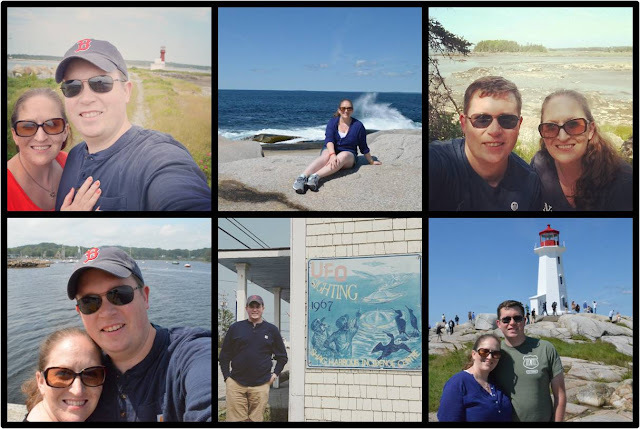 We explored the area during the day, visiting little museums, trying our hand at geocaching, taking scenic drives, and eating seafood directly off local fishing boats. 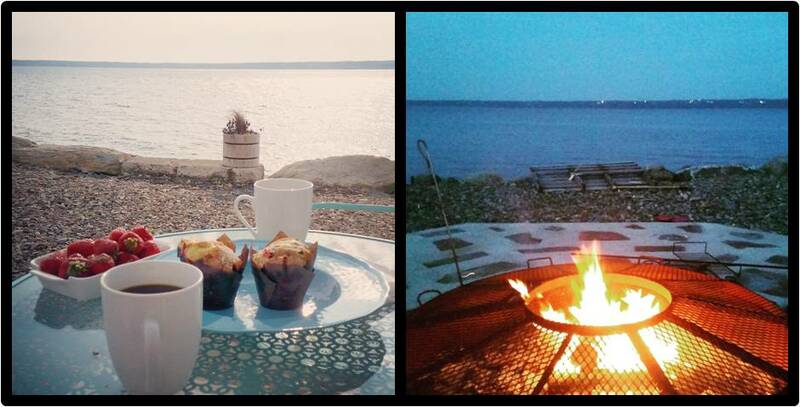 In the evenings, we pulled on a sweater and sat around the fire pit. It was just as beautiful and relaxing as we hoped it would be. For our last three days, we rented a different apartment in Lunenburg, a slightly larger (and as it turned out, much more touristy) fishing village about halfway between Pubnico and the capital city of Halifax. On our way from Pubnico, we stopped in Shelburne, a lovely town on the water, for lunch and for a brewery visit (more on that later). 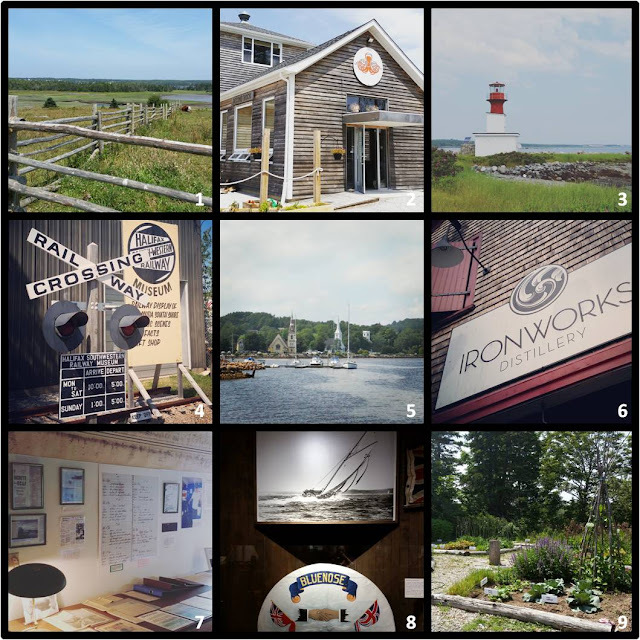 Once in Lunenburg, we spent some time exploring the area, but we also took a couple great day trips while we were there: one to the post card worthy village of Mahone Bay and another to Peggy's Cove to visit the Peggy's Point Lighthouse. 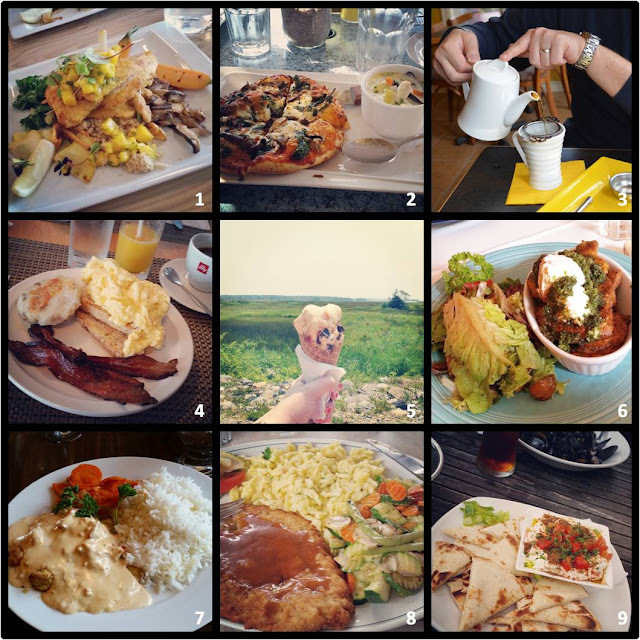 We stumbled on to some truly wonderful food in Nova Scotia. 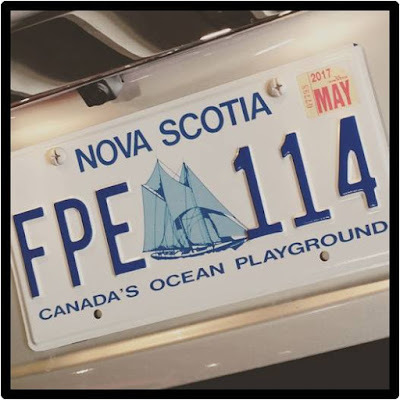 Our most memorable meal was at a more upscale restaurant off the beaten tourist path in Lunenburg called Lincoln Street Food (#1). The menu was fresh and seasonal and boasted plenty of Atlantic seafood. We also loved trying a local favorite, haddock with creamed lobster, at the Red Cap Restaurant (#7) which was right down the street from where local fishing boats brought in their catch. Throughout the week we found pizza with delicate seafood chowder (#2), hearty breakfast fare (#4), authentic (and fantastic!!) German schnitzel thanks to descendants of German settlers (#8), ice cream with a view (#5), loose leaf tea by the pot (#3), and mussels by the pound served on a patio overlooking the water (#9). Other notable meals (not pictured above) were had at Dennispoint Café in Lower West Pubnico (get the fried clams and the poutine! 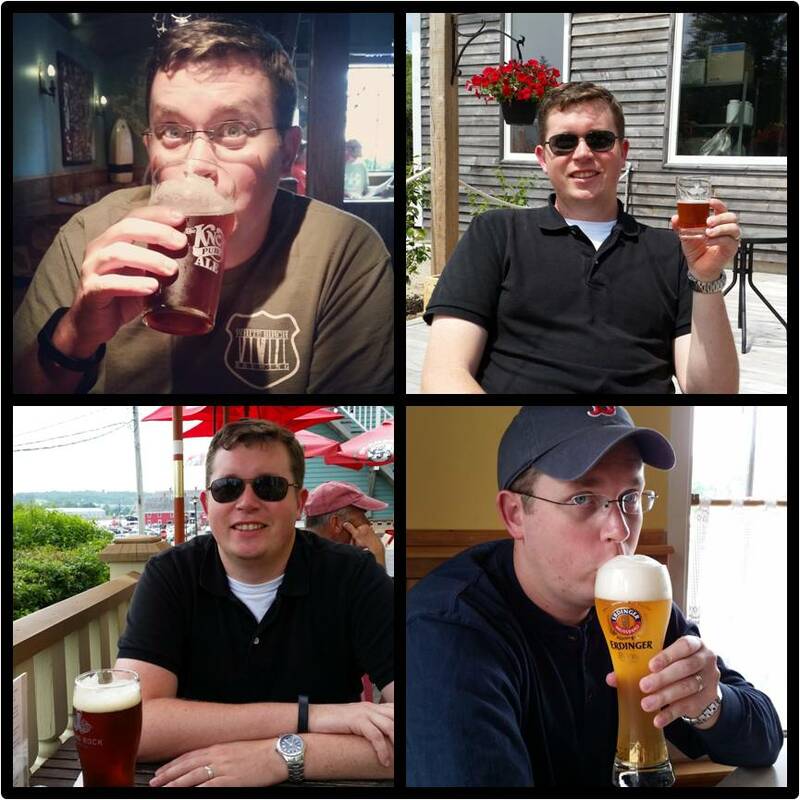 ), at Rebecca's Restaurant in Mahone Bay (I loved the vegetarian options here), and Brooklyn Warehouse in Halifax (you can't go wrong with their burger and with a pint of local craft beer). To stick with our relaxing vacation vibe, we limited ourselves to one or two activities per day (meals don't count, obviously). 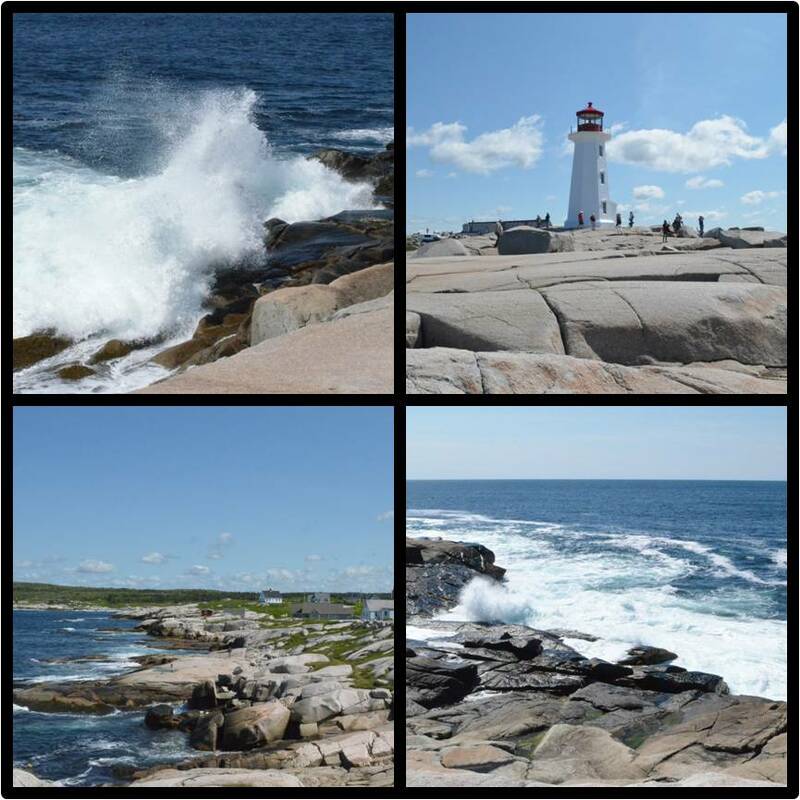 My favorite outings were geocaching around the Pubnicos and a visit to Peggy's Point Lighthouse in Peggy's Cove. Geocaching led to some great scenic drives off the beaten path, and the lighthouse at Peggy's Cove was so incredibly beautiful. It was easy to see why it's one of the most photographed spots in this region of Canada. We made the drive from Lunenburg on a perfect sunny day. Once we walked up the rolling granite rocks to view the lighthouse, we found a perch on one of the rocks to soak up some sunshine and watch the waves come crashing in. I think I could have sat there for ages if only our stomachs hadn't started growling (if you visit, definitely visit Rhubarb for lunch afterward)! We also paid visits to a couple Acadian museums in the Pubnicos (Acadians were French settlers that were eventually driven out by the English. 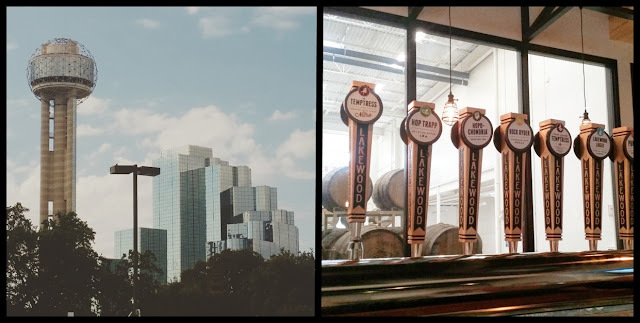 Some eventually returned, but many ended up in Louisiana and are the ancestors of the Cajuns), a fantastic craft brewery called Boxing Rock, fishery and railway museums (including incredibly detailed model railroad recreations of historical regional rail stops), local scenic spots, a distillery, and even a UFO museum (touted as the Area 51 of Nova Scotia)! And would it be a vacation with this husband of mine if there weren't a few stops for beers along the way? I think not! He's drinking for two now, after all. I've been awfully remiss in updating this little corner of the internet, but given that my husband and I have some pretty big transitions coming up this year, I hope you'll forgive me. You see, come December 18th or so, things around our house are going to be a bit different. 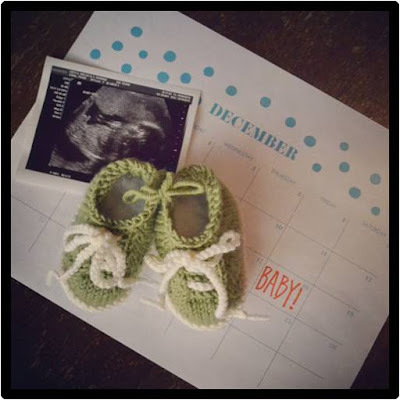 We'll be welcoming a baby boy into our family! 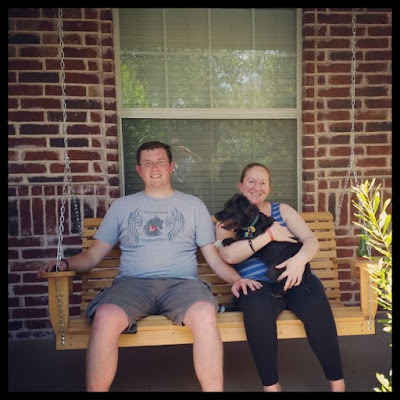 Our little dog Charlie is pretty excited about it (and by excited, I mean that he has no idea what's coming), and my husband and I are thrilled! Currently, we're scurrying around trying to get ready for the little guy. 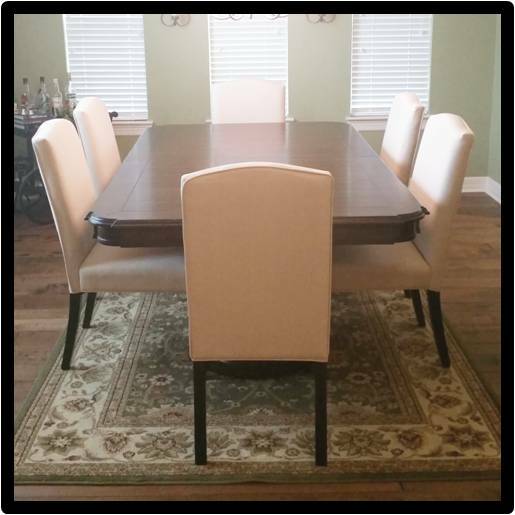 We finally got a full-sized dining room set along with a buffet for storing our china. After 5 years, our beautiful china, formal flatware, and crystal are finally out of boxes! And once we get curtains and a few prints hung, our formal dining area will be complete. Though it's only a matter of time before a little boy's spaghetti-covered hands ruin those white chairs, isn't it? We've been working on the nursery and tackling a few DIY projects along the way, including painting and staining a piece of family furniture to use as a chest of drawers and repairing a bookcase that I used in my own childhood bedroom. My fabulous in-laws repainted the nursery so that it's now a nice, soothing neutral instead of the horrible blue and khaki stripes that were present when we bought the house. The crib is assembled, and we have a refinished antique dresser that we're using for a changing table. We've ordered a comfy upholstered rocker, and my mom is repainting a wooden family rocker for us to use that originally belonged to my great-grandmother. I can't wait for it all to come together! We're researching pediatricians, setting up baby registries, picking out freezer recipes to make and put away before baby's arrival, going to baby showers, and just having a great time (while trying not to panic about everything that we still need to do). I'm pretty sure we have no idea what adventures lie ahead of us, but we're excited to find out!